Sometimes the greatest food creations come from adapting to necessity, like when the Earl of Sandwich put meat between bread for a quick snack to get through long gambling sessions, or when KFC doubled down on Americans' need to be even less healthy. Classic Italian-American food is no different. When immigrants began arriving on our shores, they couldn't find the right ingredients and were met with palates and traditions that varied greatly from those of their paisanos back home. 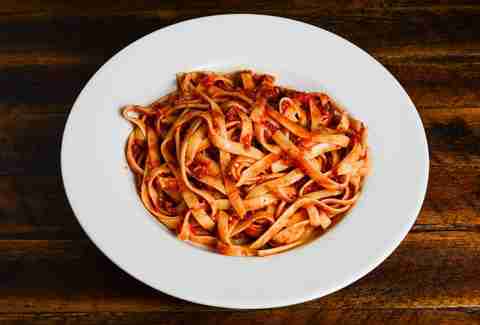 They adapted their food culture to these new conditions, bringing forth a menu of dishes that might seem unfamiliar or downright confusing to native Italians. But on the other hand, some old traditions lived on even though the original context for the food was long gone. To learn a little more about these dishes, we talked to Michael White, the NYC-based chef behind Michelin-starred restaurants like Marea and Ai Fiori, to fill us in on the backstories of some of the most iconic Italian-American foods. Read on to learn about the origins of garlic bread, meatballs, and pizza. 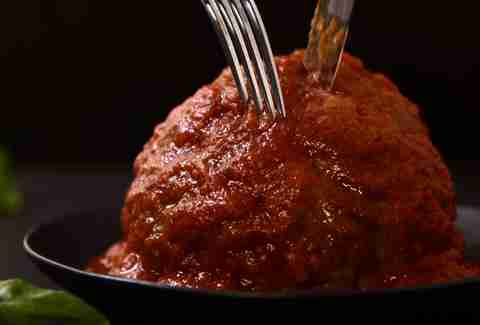 "In Italy, there's really no equivalent to our American meatballs. Italians do make polpette, but they're never as large as what you’ll find here in the States. Polpette are made with veal, or a combination of veal, pork, and beef. 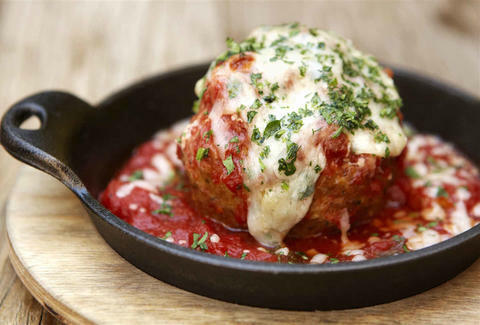 When Italian-Americans introduced meatballs to the States, they started using what was available to them here, mostly beef and lots of Pecorino-Romano cheese. Over time, our culture has demanded they grow in size." “You will only find eggplant Parmigiana in Italy, it’s never made with veal or chicken. When Italians came to America, they had to make use of the local ingredients available to them. Meat is much less expensive in America than in Europe. So they had to adapt their vegetarian cuisine to our more meat-centric culture. Over time, as our eating habits changed and Americans wanted faster food options, the idea came about to put chicken Parm between two pieces of bread and make it a sandwich, so that people could eat it on the go. But you would never see anything like our chicken Parmesan sandwich in Italy." 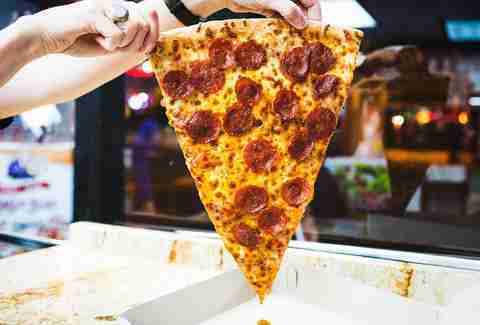 "In Italy, pepperoni as we know it doesn't exist. Pepperoni is actually a red bell pepper. Italians will use salami picante or soppressata from Calabria, but those are all pork. The all-beef pepperoni you see in the US is more of a Hungarian tradition, it actually has nothing to do with Italy." "In Italy they'd make something called mozzarella in carrozza, or fried mozzarella. The fresh mozzarella had such high water contact that if you dusted it in flour it'd soak right up. So they'd put it between two pieces of bread with anchovy and basil and maybe a little tomato, then they'd put a plate on top of it to make it all stick together, then fry it. In the US, the mozzarella was dry, so they'd dust it in flour and egg wash so breadcrumbs would adhere to it. 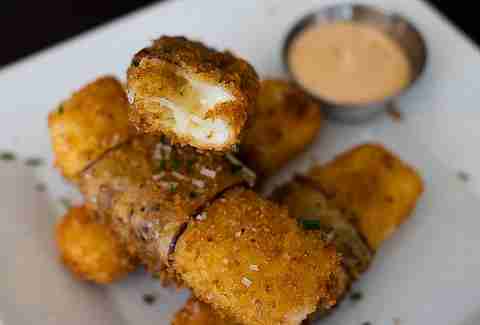 Then they'd fry it and serve it with a dipping sauce, since in America we love to dip things." "In Italy they'd slice the day-old bread thin and put it on the grill to make bruschetta. But when they arrived here, there was no rustic bread, no fresh oregano, and no fresh basil, so they'd take a soft hoagie and encrust it with butter and garlic, then add Parmesan, dried mozz, and dried oregano." 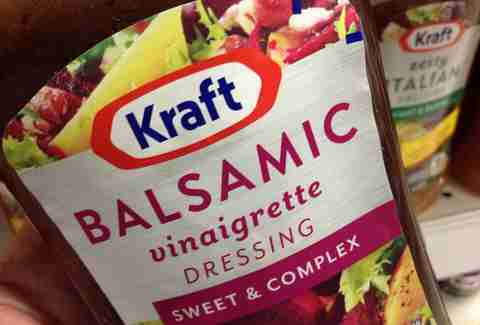 “You'd never see something called Italian dressing. You'd have oil, lemon, and vinegar, and you'd mix them yourself. Not everyone makes it the same, some only like a little oil and two drops of vinegar. People in America weren't used to deciding their own dosage, it's just not in our culture to dress greens that way. We took all that stuff and put it in a bottle, so that it's all the same and it can get onto the shelf." “It's a famous soup in Italian-American restaurants, it came from Campania. The name comes from 'maritata,' or marriage. It really is an Italian soup, with some pieces of pork, maybe pancetta or prosciutto, and beans. But the name comes from the marriage of the ingredients, not the ritual of marriage." Dan Gentile is a staff writer for Thrillist. He studied abroad in Italy and would love to tell you all about it. Follow him to awkward cheek-kiss greetings at @Dannosphere.